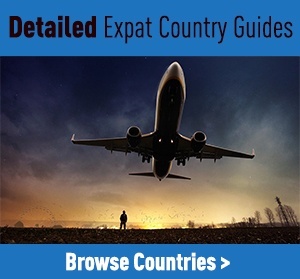 You are at:Home»Around The World»British Expats Living In Qatar: What’s It Like? British Expats Living In Qatar: What’s It Like? What's expat life in Qatar like? Would you consider moving if we told you of all the happy British expats in Qatar? We all dream of finding a job that fulfills us, where work is a pleasure as well as giving us the potential to earn enough cash to live our lives to the max outside of the work environment. While it may seem a strange and exotic location, Qatar is burgeoning with possibilities to achieve just that. Here there is promise for both work and recreation with well-paid jobs, fine dining, shopping, the arts, sporting activities and social events. What’s expat life in Qatar like? This exciting cocktail makes for an enticing prospect for relocation, but what is life really like for expats living in Qatar? Read on to discover what you need to consider before you take the plunge. 1.3 What Do You Get for Your Riyal? There’s no denying that for many expats in Qatar, the cultural differences and religious and social customs can initially be a tricky issue. Dress codes are applicable to non-Muslims (women are expected to dress modestly at all times) and alcohol is restricted although it is still on offer in certain hotels, hotel bars and restaurants. Despite these – and other – restrictions, many British expats in Qatar will testify this doesn’t have to diminish your quality of life over here. The capital, Doha, is the hub of everything for expats. Close to schools, workplaces and recreation, this is where expat life in Qatar buzzes and thrives. One thing you need to know about Doha? It’s hot. Average temperatures in summer (May-October) quickly soar up to 38 °C with heights regularly reaching a sizzling 45 °C. The cold season lasts from December to March with an average daily high temperature between 22-25°C. So how best to cope with the sweltering summer heat? Cover up to protect your skin, wear sunscreen and avoid going outside during the hottest part of the day. Eat small snacks, not big meals. Digesting large or hot meals can boost body temperature, so graze rather than gorge. Protect the vulnerable. Never leave children or pets unattended in a parked car, as temperatures can rapidly rise inside the vehicle. What Do You Get for Your Riyal? Whilst most expats in Qatar benefit from lucrative employment packages, transportation needs, school fees and other day-to-day expenses are still going to take a chunk out of your wallet. Accommodation for expats is generally glossy and new, with well proportioned living space and on-site amenities such as pools and gyms. Living costs can be high depending on the type of property and its location (on average anywhere between 5000-13000 QAR per month (£1,100 – £2,900)) and the most desirable apartment blocks and villas often have waiting lists. On the flip-side expat salaries here often include a housing allowance which can take the edge off the steep rental fees, and utilities are cheap with singles paying around 300 QAR (£66) and families from around 700-1000 QAR (£150-220) per month. The soaring summer temperatures make walking around the city a no-no. As the metro system in Doha is years away from completion and bus services are rather limited, most expats living in Qatar choose the convenience of owning a car. The big advantage of running a car in Qatar is that petrol is cheap as chips and vehicle prices tend to be lower than the UK – up to 50% cheaper depending on the make and model of car. There’s a huge choice of restaurants in Doha and prices range accordingly. Expect to pay from around 150 QAR (£33) per person at a traditional ethnic eatery to over 350 QAR (£77) for a sumptuous 3 course meal at a Michelin starred restaurant headed by a famous chef. In most restaurants a service charge is included in the bill, but if in doubt, 10% tipping is customary. Couples must be married to live together in Qatar – even if they have children. Additionally, only families earning more than 10,000 QAR (£2,200) a month are able relocate here. If you meet the entry requirements, children can expect a high standard of education in an English speaking school with other English kids. School fees are often covered by many companies as part of their expat packages, but if this is not the case fees vary between 30,000 – 51,000 QAR (£6,600-11,300) per child per year. Entry places can be hard to come by and waiting lists for the best schools are long, so it’s well worth planning to have things in place well in advance of your move. Parents can look forward to an effective expat parent network for advice and support for life in Doha, fun activities and meet-ups. Qatar’s mix of traditional Arabic culture with stunning scenery, mysterious old-world souks and exciting contemporary arts and sophisticated culinary experiences is seductive. Expat life in Qatar offers rich possibilities if you are willing to accept that the way of doing things is a little different here. But isn’t that part of what relocation to a foreign country is all about? British expats in Qatar consider that it’s well worth going along for the ride.